Any reason, no questions asked. Compatibility aligned with each new Magento release. PROACTIVE ORDER TRACKING FOR YOUR CUSTOMERS Start for FREE Now! WHO IS USING PEARL THEME? MAGENTO 2 GOOGLE XML SITEMAP. ABOUT THE MAGENTO 2 XML SITEMAP EXTENSION FOR GOOGLE. Our Magento 2 sitemap extension dynamically generates XML sitemaps to help search engines crawl and index your store faster! Google has specific rules for sitemap generation settings and failing to obey them can drastically affect SEO performance. It’s essential to have your sitemaps built automatically with the help of a Magento XML sitemap generator. WeltPixel’s extension meets all search engine requirements, including Google. Plus, faster indexing of new pages will shorten the time it takes your products to appear in Google! Our Magento sitemap generator gives you granular control over the visibility of each product, category, and CMS page within. It also allows you to add custom URLS into the sitemap - even those not included in the default Magento sitemap. You will have full control over attributes like store-view, priority, change frequency, and update date. By using this user friendly Magento 2 extension you can dynamically exclude products, categories, and pages from the sitemap file. This is helpful for pages required in your store that you don’t want indexed by search engines. Better sitemap reliability using advanced settings. You can configure detailed settings like storeview, priority, update date and change frequency. You can set the values specifically for each group of links: Products, Categories, CMS pages, and individually for each Custom URL. The more appropriate settings you have, the more Google trusts your site! FEATURES OF THE MAGENTO 2 XML SITEMAP EXTENSION FOR GOOGLE. Faster indexation of your store content - better SEO score. Configure frequency updates - for each type of page CMS, Product, Category, Custom URL. Individual Category control - control what Categories you want to be included/excluded from sitemap. Individual CMS Pages control - control what CMS Pages you want to be included/excluded from sitemap. Add unlimited custom URLs - full control over each URL’s priority, store-view, change frequency & update date. Dynamic generated sitemap - once configured, always up to date. Increase conversions & reduce bounce rate - allow search engines to index the appropriate elements of your store in order to reduce bounce rate & improve conversions. 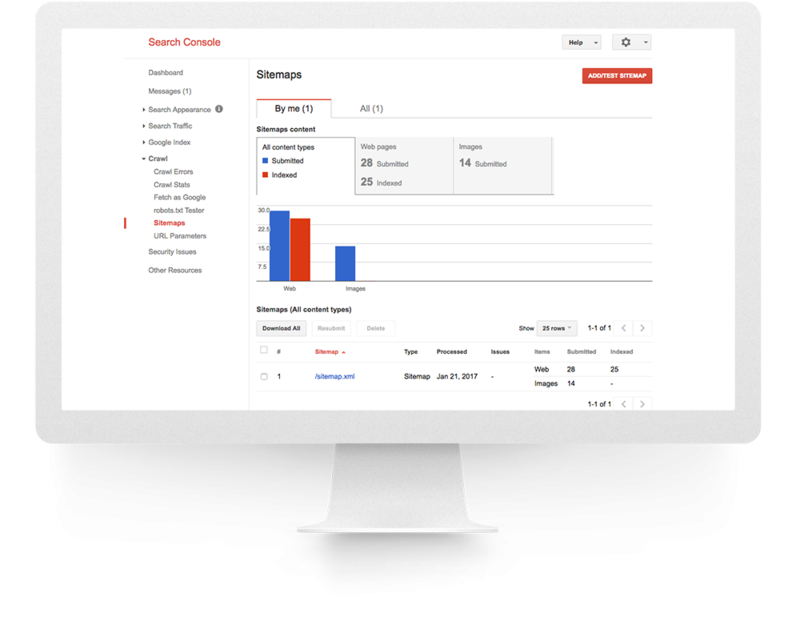 Reduce return rate - help buyers find the best product for them using specific relevant information already indexed in search engines using your advanced sitemap. Easy to use - no coding needed. Best practice coding - extending the functionality of the default Magento 2 XML sitemap. Before installing please check the extension compatibility. This extension is currently compatible with the following Magento versions 2.0.X. - 2.3.1. It is recommended to install the extension first on a testing server before you install it on a live (production) server. Copy the installation GUI folder 'weltpixel-extension-installation' in the root of your Magento installation. In some Magento configurations the public root folder may be under 'pub' directory. In your browser go to www.yourmagentostore.com/weltpixel-extension-installation/ and simply follow the installation steps from the graphical interface, presented in your browser. See the installation video: 1 Minute Module Installation via browser GUI. Wooohooo! 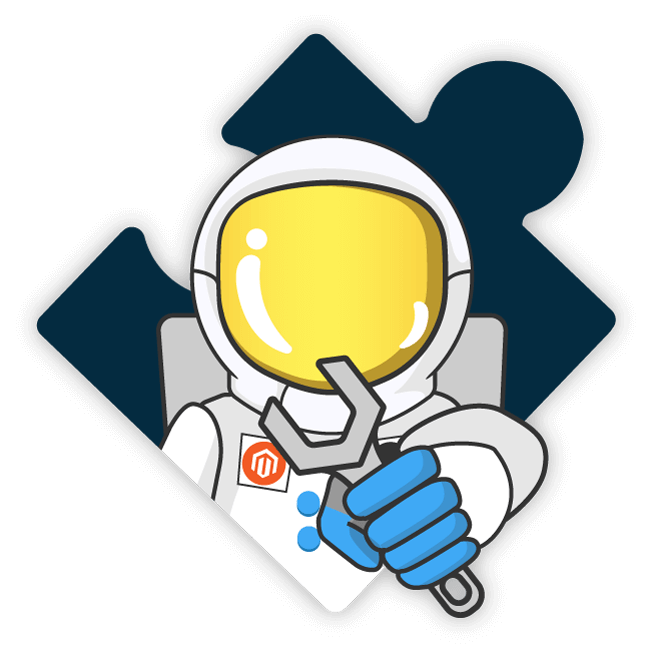 The extension is now installed on your Magento store! Congrats! If you experienced any issues or limitations with this quick GUI installation, see also SSH Installation below. SSH installation does the same thing but you are required to issue the commands step by step via CLI. Some servers may have high security configurations and may limit the functionality of this GUI Installer. How to Install via SSH. Before installing Google XML Sitemap Extension on a Magento 2 store please check the extension compatibility. This extension is currently compatible with the following Magento versions 2.0.X. - 2.3.1. It is recommended to install the extension first on a testing server before you install it on a live (production) server. Flush any cache that you might still have enabled on your server or in Magento. Woohoo, the extension is installed! How to Upgrade the extension. Step 1. Remove extension code under app/code/WeltPixel/Sitemap before adding the new extension files. The extension may be refactored and old unused files may cause random issues so it's best to only keep the latest version of the files. Step 2. Follow normal installation instructions above. Go to Stores -> Configuration -> Catalog -> XML Sitemap and configure default settings for your sitemap. a. Select Frequency and Priority for each type of page in your store: Category Pages, Product Pages, CMS Pages. The priority of the URL relative to other URLs on your site. Valid values range from 0.0 to 1.0. This value does not affect how your pages are compared to pages on other sites—it only lets the search engines know which pages you deem most important for the crawlers. The default priority of a page is 0.5. Please note that the priority you assign to a page is not likely to influence the position of your URLs in a search engine's result pages. Search engines may use this information when selecting between URLs on the same site, so you can use this tag to increase the likelihood that your most important pages are present in a search index. Enable - [ Yes / No ] - this option enable sitemap generation. Make sure cronjobs are setup on your server in order for this automated task to be triggered. Maximum No of URLs per file - set the maximum number of URLs in sitemap. Enable submission to Robots.txt - [ Yes / No ] - if enabled sitemap will be included in robots.txt file of your store, facilitating search engines to faster discover it. This option is useful when you want to exclude certain CMS Pages from sitemap. Ex: ‘404 Not Found Page’ makes no sense to be indexed by google, you do not want your customers there. This option is useful when you want to exclude certain Product Pages from sitemap. Ex: maybe you have a lookbook where your products can be purchased using a quick view functionality and you don’t want to sell the products individually on separate product pages, in this case you can exclude that particular product pages from sitemap indexation. This option is useful when you want to exclude certain Category Pages from sitemap. Ex: You may want to include in sitemap only level 2 categories and exclude level 1 categories in order for clients to land on a more segmented category. By default magneto doesn’t add to sitemap custom url that may be still relevant to your business, for example a html page presenting your product. Ex: Weltpixel Cleo Theme is presenation of one of our products but is not included in default Magento sitemap. By using Google XML custom sitemap URL functionality we’ll be able to add also this link to our dynamically generated sitemap. Woohoo, the sitemap is configured! Confirmed compatibility for Magento 2.3.1. Helpcenter adjustment, removed zendesk iframe and added a simple link to our Support Center in order to avoid any potential conflicts with other admin js added by 3rd party extensions. Fix for multiple rewritten ImageFactory classes, rewrite check validity, rewrite checks optimizations. Fixed missing change_frequency bug from latest Magento 2.2.x versions. Compatibility adjustments for Magento 2.1.16/2.2.7/2.3.0. As Magento 2.3 comes with major core changes, we have provided a different set of files in order to achieve the best performance on each version. Added detailed error messages for invalid licenses for an easier identification of the cause. License improvements, added *.magento.cloud as a valid test domain for Enterprise Cloud environments. Now both ‘magentosite.cloud’ and ‘magneto.cloud’ can be used for testing purpose with the production domain license. Admin menu styling to fit screen size 1366px. License improvements, adding *.magento.cloud as a valid test domain. Fixed admin random logout issue. Licensing improvements, allowing 3 letter domain as valid domain. Compatibility with Magento 2.2.5 both Open Source & Commerce Cloud B2B. Added domain.test & [any_subdomain].domain.test to the list of valid urls for staging/development environments. Added domain validation with port number included for licensing purpose. Added licensing compatibility with Magento B2B. Added option to enable/disable WeltPixel admin notifications. Show store and server related information under debugging tab: Magento Mode, Magento Edition, Server User, Magento Installation Path, Current server time, Latest cron jobs. Added licensing, license key needs to be generated under weltpixel.com account for purchased product, based on domain name and added under your magento installation. Compatibility with Magento 2.2.4, logger broken reference fix, changed to rewrite from plugin. Changing sitemap attribute to ‘not required’ for categories and products in order to avoid catalog integration with external systems like ERPs. Added version control for installed WeltPixel modules, including latest version check. Added Support Center functionality in Magento Admin. Added Debugger functionality, checks for rewrites and points potential issues. Magento Enterprise column name change fix. Compatibility with Magento 2.2 function type compilation fix. Fix for product, category default exclude sitemap, update try catch. Added translations files under /i18n/en_US.csv. You're reviewing:MAGENTO 2 GOOGLE XML SITEMAP. © 2018 Weltpixel. All Rights Reserved. SIGN UP FOR EXTENSION UPDATES AND NEW PRODUCT RELEASES.